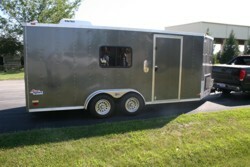 This custom trailer was built for a salesperson looking for a way to bring his merchandise to the customer. 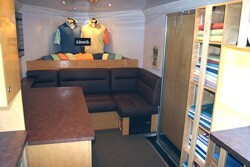 The trailer also provides an area where the salesperson and client can sit down and close the deal. 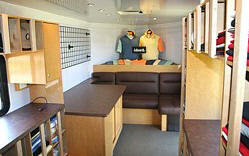 Take your ideas and products on the road and showcase how your business is innovative and different from anyone else. 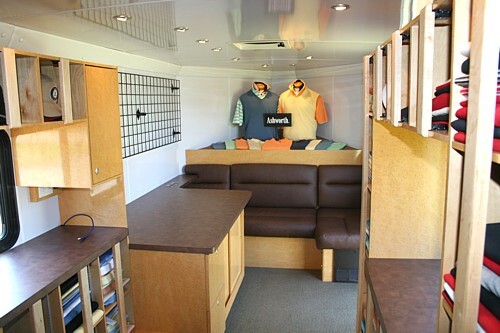 High quality Naugahyde leather covers the front lounge area, carpeted flooring, laminated custom built cabinetry and counter surfaces had to the quality of the experience for the customer. 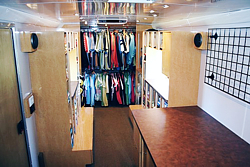 Shirt display area in the forward nose allows the salesperson a place to show his product to the customer. 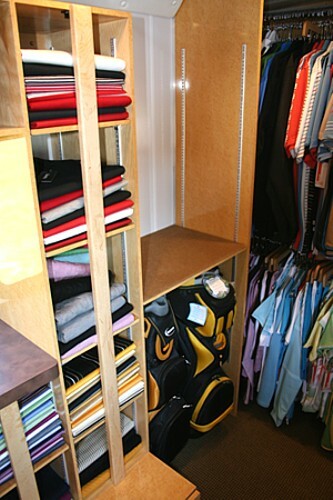 Office supply storage drawers and counter was incorporated into the design to allow the salesperson to complete the sale in the "showroom". 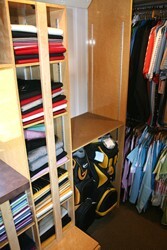 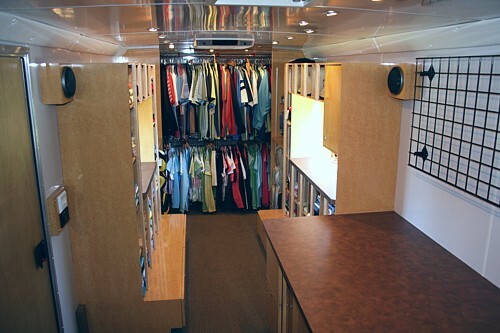 With full width hang bars (2 levels) and multiple "cubby" holes he is able to keep a large stock of golf shirts. 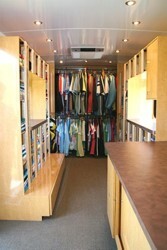 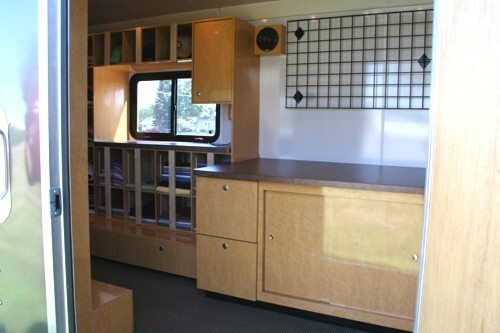 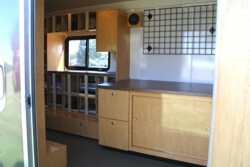 Trailer also features carpeted flooring and laminated custom built cabinetry and counter surfaces.